Lake Bogoria in Central Kenya, Africa is not only breathtakingly beautiful but also boasts UNESCO World Heritage status. The history of this natural region provides unique heritage hikes, hot springs and wonderful opportunities for birding enthusiasts. Enchanting Travels COO and Co-Founder, Florian Keller, shares travel gems from his hike in Central Kenya. 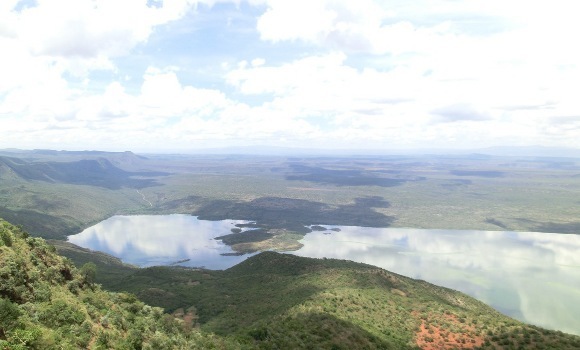 You can guarantee one thing on a hike from Lake Bogoria to the top of the escarpment that towers 700 meters above the lake: spectacular views. With such natural beauty it comes as no surprise that Lake Bogoria, part of Kenya’s Lake System, is the latest addition to the UNESCO World Heritage Status list and is becoming a global icon. 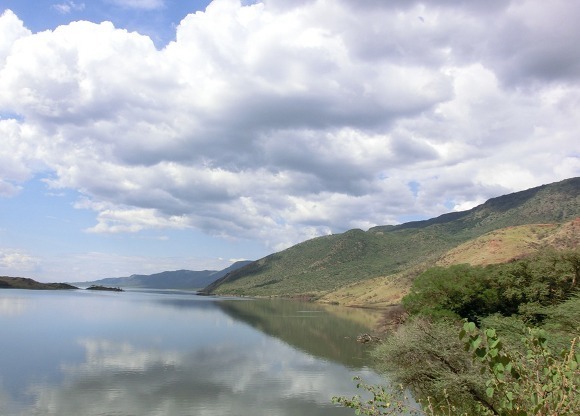 Kenya’s unique lakes are vast; in fact Lake Bogoria, Lake Nakuru and Lake Elementaita are part of a total delicate wetlands ecosystem of 32,034 hectares. The Great Rift Valley region boasts some of the highest diversities of waterfowl and migratory birdlife in the world, including 13 species that are threatened globally. In particular, it’s home to Lesser Flamingos who use it as a most valuable place for foraging; whilst Great White Pelicans breed and nest there. Lake Bogoria is the deepest of the three lakes. All the lakes will benefit from this fresh global conservation support, tackling human-damaging activities such as deforestation, mass tourism and farming that is drying up the shallow waters. It’s not just birds that you might spot here: even endangered black rhinos, Rothschild’s giraffes, cheetahs, lions and African wild dogs call Lake Bogoria home. 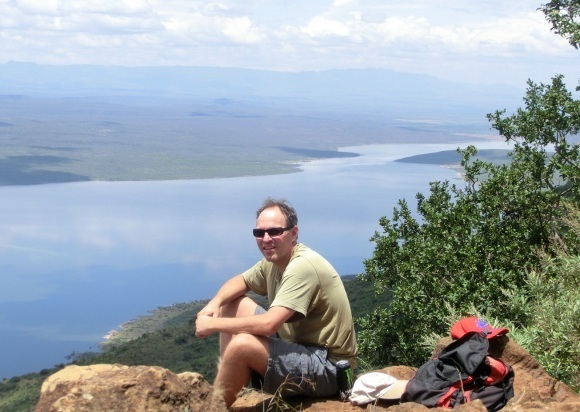 Yet there’s also a historical twist to Lake Bogoria as our COO and Co-Founder, Florian Keller, discovered when he hiked along The Trans Rift Valley Trail, which opened up to responsible travelers only in February 2011. This is a remarkable traditional trail across the Rift Valley that has been used for centuries to connect the communities and villages right across the Great Rift Valley. The trail – also known as the Old African Highway – can at times be just one foot wide and winds through stunning altitudes and habitats, including unique volcanic plateaus, bubbling hot geothermal springs and gorges. This old treasure has not only benefited locals for trading purposes. It’s also the route that Africa’s great explorers, such as James Hannington, Joseph Thompson, and Count Teleki von Szek used searching for the source of the Nile. The Trail can be divided into smaller hikes so that individuals of varying physical fitness can enjoy it on foot and bicycle. Florian explored one of the most spectacular parts of the Trans Rift Valley Trail, hiking from the shores of Lake Bogoria to the top of the Rift Valley Escarpment. The hike on a very scenic trail takes three to four hours (depending on fitness levels). Rest your head in Lake Bogoria Spa Resort. Located within the geyser-infested National Reserve, it is a one of a kind resort featuring a naturally heated health spa! Other UNESCO World Heritage sites in Kenya include Lamu Stone Town, the Kaya Forests, Mt Kenya National Park and Lake Turkana National Park and has increased Kenya’s status as a focal conservation hub. 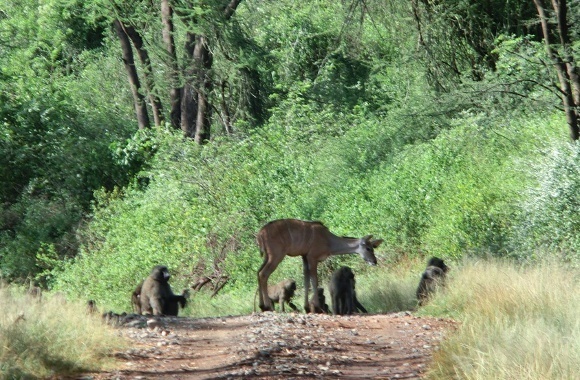 Discover them for yourself on your own private, tailor-made Enchanting Travels trip to Kenya.